Andrew Solomon’s promotional site creates a visual and emotional experience for visitors. Award-winning author Andrew Solomon's latest book, Far From the Tree: Parents, Children and the Search for Identity, explores how families with exceptional children cope and thrive with diversity. 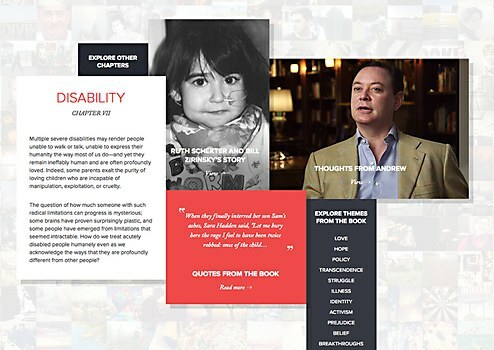 Scribner's editorial and marketing teams went far beyond the average promotion with this site to create a unique, visual and emotional experience of the family stories shared in Solomon's book. Domani Studios designed the site in two sections, each with distinct content and interfaces, but sharing a unified style and feel. 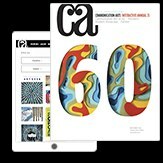 The first section, Explore the Book, is a photographic grid-based experience that reveals several different types of content from and related to the book—including 36 audio and video family stories—emphasizing the connectedness of the different chapters and themes explored by the author. The second section, Community Voices, invites members of the public to share and discuss their own experiences, connecting them to the greater community of difference. 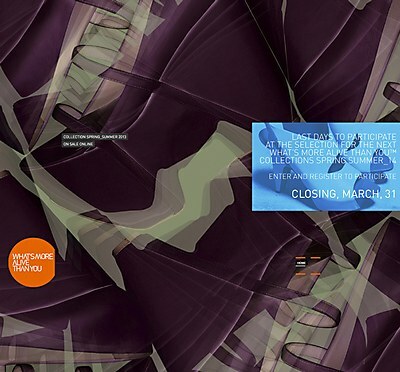 The grid fades into the background here, and a parallax-scrolling experience is layered on, but the emphasis is still on the connectedness of peoples’ various experiences. Stories are filtered by and linked with the chapters or themes with which they are associated. Clicking the filter buttons at the bottom of the experience appends the next set of stories to the page, a dynamic and novel approach. 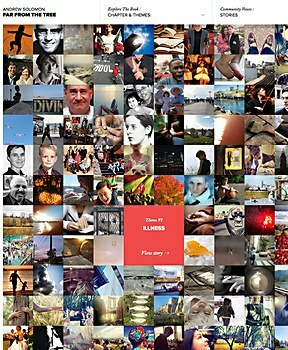 Galimberti’s site publishes the happiness of illy coffee drinkers with stories and photographs. The site features seasonal collections of Italian fashion and a blog-style e-shop. 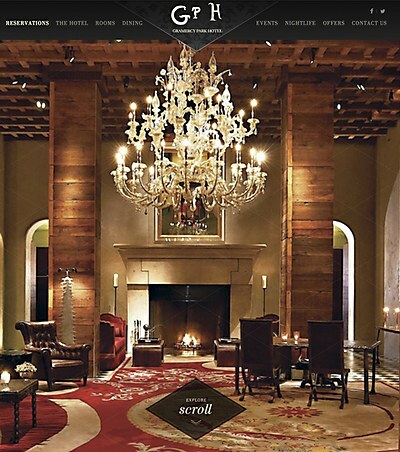 The iconic Manhattan hotel’s website emulates its creativity and cleverness.